The business idea concerning smoking fish, meat, and fat production is very relevant. You can implement it in 2 ways: retail and wholesale. 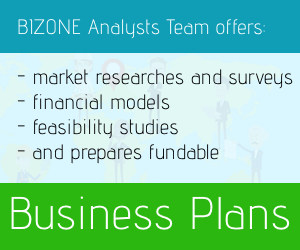 We’ll be talking about a business plan independent of any suppliers and its implementation. Real average profitability varies between 50 and 100%. In some special cases (e.g., when using meat of the musk duck or Guinea fowl) – up to 200 -250%! Starting capital for a mini-home smokehouse fluctuates from $4,000 to $6,000. A payback period is 6 months strictly. The first smokery alternative is to buy wholesale. You can find wholesalers; purchase already cooked meats, and start selling. However, the quality might be destitute, so it’s better to avoid this option. Regarding consuming properties, you have nothing to worry about. Smoked meats are always in demand. The competition in this area of business is quite low as far as the existing owners are not capable of offering high-quality products. Therefore, you have a high chance to realize this idea. After all, buyers are not looking only for smoked meat, but smoked fish, which is so hard to find on the market. There are other smoked products available. Fish, meat, mushrooms, cheese, fat – that’s not all! Next, you have to think of the product line. I suggest you find a provider that can offer you the reliable products to smoke. Choose the most-demanded items first. Search for their pricing policy. Compare the price and quality of products. Never take stale products. Even though you still will be smoking, if they are damaged, it will fail. According to the latest statistics, smoked salmon stands in the highest demand. To operate in this certain niche, you need to find a conscientious supplier of natural products. There is no sense to purchase raw materials from the shops due to the added value already included in the price. To maximize profits, it is desirable to order raw production from farms and fishing factories where all meat and fish are already certified. Most people prefer home-made sausage factory. Therefore, you can organize the sale of products directly from the mini smokehouse within a number of different promotions. Experience shows that each sold pound brings $40 - $45 on the average. Level of competition: 3 / 5. Overall expenses: from $500 to $1,500. The ability to conduct online: no. As a home business: yes. Advantages: fairly small competition, high demand, low costs. rib racks - $10 per unit. A smoking meat production can be run outdoor as well as indoor thanks to the variety of corresponding equipment and tools. In order to run this business, smoked fish (meat, bacon) has to be cooked with the help of an electric smoker. It costs roughly about $1,000. Some models’ prices are much higher, of course, but being an Amateur means choosing the cheaper one just to get in touch. If the production increases, buy a more expensive one. 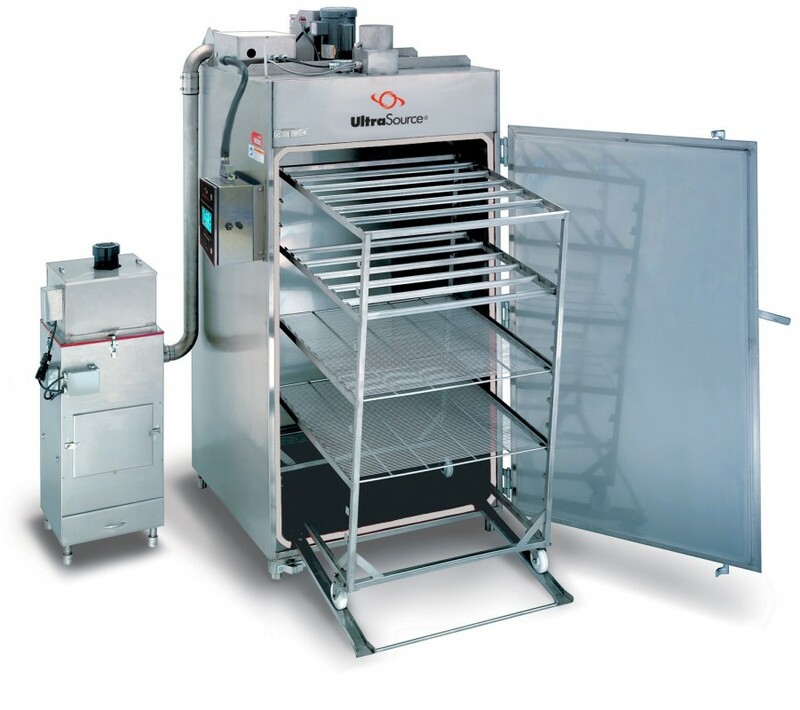 You can install up to 3 - 4 such smokehouses, which will significantly increase the number of products. It will lead to higher profit. 3. Outlet for the smoke. 8. The product to be cooked. 9. Hole for smoke output. Domestic animals usually reach their market weight of 175-240 lb (79.4-108.9 kg) between the ages of 5 and 11 months. That’s when they can be taken to a slaughterhouse. That’s when they can be involved as the raw materials for your meat smoking business. As a rule, the ham portion, cut from the leg, is cured and smoked. Such materials as water, salt & sugar, pickling spices (mace, allspice, cloves, cinnamon, peppercorns, and bay leaves) and garlic may also be added. Other raw materials consist of wood, of course. It’s necessary to choose the most suitable types like beech, oak, chestnut, and hickory. You can try to add aromatic herbs such as juniper, laurel, sage, and rosemary for better taste and quality. sets of spices – from $150 per one big set. For the best tasting jerky, the beef used is range fed, 100% premium, visually lean, United States Department of Agriculture (USDA) inspected, flank steak. Turkey is becoming more popular in terms of its taste and safety. On the whole, bird’s meat is safer to use within smoked meats production. Just like for any sort of business, you must choose a location responsibly. If you live in a private house, the problem is solved at once. You may use a lot of free space such as a backyard. Finally, you can always build a small and inexpensive extension. If you are an apartment resident, you have to rent some other space. Obviously, this kind of activity is prohibited in a residence. The special equipment requires a corresponding building. Here you can face two opportunities. You can rent yourself a market place or go elsewhere. Then you are going to sell your own products monitoring their demand independently. Also, it’s a great chance to learn a lot about the market and its products, or become a supplier. Another alternative is to work with private entrepreneurs, cafes, supermarkets, bars, or restaurants. The main goal is to monitor the quality and prices of your products. Shops and other intermediaries want to earn something from your business. Therefore, the cheaper your products are, the more chances of selling it. The low-cost pricing strategy has to be followed at least at the beginning of your small business to attract as many customers as possible. In any food processing facility, quality control is extremely important. Governmental regulations require that certain minimum standards be met for any raw material that will be used. Meats in particular are heavily regulated because the use of poor quality meat represents a significant health risk. Additionally, sanitation procedures for the production equipment are also subject to regulation. For this kind of business, place is not the most crucial point. To survive, your location has to be up to either state or federal inspection standards, including sanitation, drainage, potable water, equipment, processes, etc. Add an ongoing sanitation processes followed at all times, temperature checks and logs maintained, no illegal additives, etc. Barriers to entry:Obtaining a hygienic certificate, USDA regular inspections. - a couple of cleaners. They all should wear only clean uniform, and no jewelry. No persons suffering from communicable disease or open sores are allowed. Direct bare-hand contact with ready to eat foods is prohibited. Food, beverage, and tobacco use is restricted. It only takes up to 5 - 8 employees (per shift), depending on whether you deal with purified or unpurified raw materials. Each shift must be provided with the expert who has a corresponding degree from some food institution. Also, you’ll need a professional technologist to work with equipment appropriately. The rest of the employees may be not that qualified. The payroll will be around $5,000 - 7,000.